Successful, motivated employees = A successful business. What impression do your employees leave? Are they communicating your best message? Do they offer outstanding customer service? Do they appear powerful, professional and friendly? Are they making every customer a repeat customer? Are they allowing your company to operate at Maximum Success Potential? Stronger, more productive employees & Increased Profits." First Impression? Their appearance, along with the way they present themselves, is as important a message as the words they speak. Lisa Maile will listen to you, whatever your needs, and tailor a high-impact, exciting, content-rich presentation that will motivate your employees to: look their best, communicate with confidence, or close a sale with winning body language techniques. Customized programs sprinkled with light humor and delivered with unbounded energy earn Lisa a top reputation in the business. and weaknesses, addressing total image along with areas not appropriate in a group setting. your employees, communicating that your company is a leader your field. you'll see amazing changes. 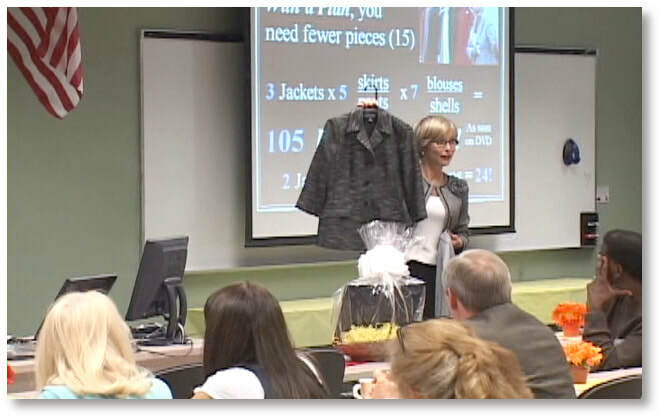 Image Consultant Lisa Maile's contagious enthusiasm inspires immediate results! all feel comfortable with in daily one-on-one conversation. An energetic, animated presenter herself, Lisa's coaching develops successful body language and verbal techniques, resulting in exciting, highly-effective, memorable employee performances. When attendees learn the least-important part of public speaking is the words they choose, they immediately begin to enjoy the opportunity for a true connection with their audience by presenting themselves with a natural, enthusiastic, positive and convincing approach. "I cannot express in words how grateful I am. You set the standard for energy, motivation, professionalism, and how to sell yourself with public speaking. And if that doesn't set you apart enough, you make others feel so good about themselves, it brings out their positive qualities." people totally unaware of the underlying messages. Learning to control how we send and receive these signals grants sales/marketing professionals an immediate benefit in any transaction. Videotaping may be employed for customized objectives. employees immediately following her presentation. For Image Training one day or longer, Lisa can incorporate presentations by a nutritionist, make-up artist, and/or hair stylist. Clients may also request a professional image fashion show for employees. Have something special in mind for your employees' spouses, male or female? Lisa will customize a dynamic, entertaining program to fit your needs and create excitement! SPOUSES WILL LOVE IT. HERE'S PROOF! enjoyed the conference, she responded by saying, 'I LOVED Lisa Maile's seminar.' That one response says it all." "YOU were SENSATIONAL! We're getting very positive comments...thanks for being wonderful." Interviewing Skills with Audience Participation & Videotaping.